I am dressing my baby after her vaccinations, feeling relieved we got through it without tears. She looks around, eyes wide, paying attention to the movements in the room. A mother lays her baby on the changing mat next to ours. The baby is wailing loudly. My baby turns her head to look at him. She starts crying too. My husband brushes our younger daughter’s teeth, puts her to bed and then leaves for work. She gets out of bed and stands at the window. Soon she is howling for her Daddy. Hugging her, I find out she wanted to wave goodbye, but he didn’t looked up, didn’t realise she was there. I try to soothe her, suggest she hug his sweater or look at his photo. She keeps crying. I say we will call his phone, and she calms – until I can’t reach him. Our four-year-old gets out of bed, goes downstairs and comes back with paper and pencils. She draws a picture of Daddy, dressed in a striped sweater and blue trousers, and with quite a lot of hair (definitely no bald patch.) Her sister loves the picture, and cuddles it as she settles to sleep. At just a few weeks old, my baby daughter kicks her legs. At four months, she rolls over onto her tummy and easily holds her head up. At almost six months, she sits up by herself. At eight months, she leans over and starts to crawl. Around same time, she grabs onto the edge of the sofa and pulls herself from sitting to standing. For several months, she holds onto the sofa’s edge and walks the length of it. Then she gets down and crawls. At thirteen and a half months, she takes her first tentative step. By fourteen months, she can walk alone. Was my baby born able to walk? Does that mean walking is something babies learn to do by watching adults? Without our example, would she never have mastered this skill? It seems absurd to ask those questions. Even if both her parents were unable to walk, that wouldn’t have stopped her. She wasn’t able to walk at birth, but she was born with all the conditions that made it possible and had all the correct development required for it to happen. If I had treated her like a doll, and kept her always in a pram or crib instead of encouraging her to sit and crawl, most likely she would have been late to walk, but would eventually have done it. Likewise, my baby was not born with the ability to take compassionate action to relieve someone else’s suffering. However, she was born with all the conditions that made it possible and had the correct development required for it to happen. She grew up in an environment that made it possible, by age four, for her to do something to soothe her sister’s distress. After she learned to walk, she sometimes fell over. When she toppled onto the floor, I never once had the thought that she would not be able to walk again. We’d seen she was capable of it, and we trusted it would happen again. After she’d learned compassionate action, she sometimes fell over. When she hit her sister, bit me, or screamed in rage, there were times when I wondered if she was a selfish brat, a spoilt little madam, or one of the many other phrases our culture uses to describe small children in the throes of a challenging emotion. Why do we trust that walking, an ability we are not born with, is something babies will develop and will then know how to do for the rest of their lives, yet we don’t trust that babies will develop compassion and be able to feel it for the rest of their lives? It’s weird, the way we attribute some things to nature and some to nurture depending how it suits us. Of course, some children born with cerebral palsy and other conditions may need crutches, splints or may never be able to walk. We would, rightly, be shocked if anyone said those children were “born bad,” or implied they were inferior in any way. Yet, if a child shows lack of compassion, even once or twice, that is what people mutter. If a child seems cold-hearted, either they must be bad, or their parents are. Or – let’s face it – it’s not their parents to blame, but their mothers. So we mothers worry, blame ourselves, and then worry some more. Yet, just as most of us are born with the innate ability to learn to walk, so most of us are born with the innate ability to learn compassion. And those of us who aren’t? What can be done for them? Most psychologists agree with this view, including Philip Zimbardo, who conducted the infamous Stanford Prison Experiment. For most of us, compassion might be natural, but that doesn’t mean it can’t be nurtured in those who lack it. A study in Australia has found that even boys who display abnormal lack of emotion and coldness can learn to change. These boys have difficulty recognising fear in other people (so would not realise that what they are doing is hurtful) but when taught to focus on the person’s eyes, they learn to recognise the signs. This study is still in early days, so the longterm effect of this isn’t yet fully known. But it is such a great start and such a compassionate way to treat people who lack innate compassion. Just as we do whatever we can to make life easier for a child who cannot walk, so we also need to do whatever we can to nurture empathy and compassion in a child who is low in these qualities. Seeing those children as bad, evil or inferior should be just as unacceptable as it would be if the child couldn’t walk. Let’s not debate whether compassion in natural or nurtured but just help it to grow wherever we can. This post is for 1000 Voices Speak for Compassion’s September link-up. This month, 1000 Voices Speak for Compassion continues to work toward a better world with a focus on Inherent Compassion. 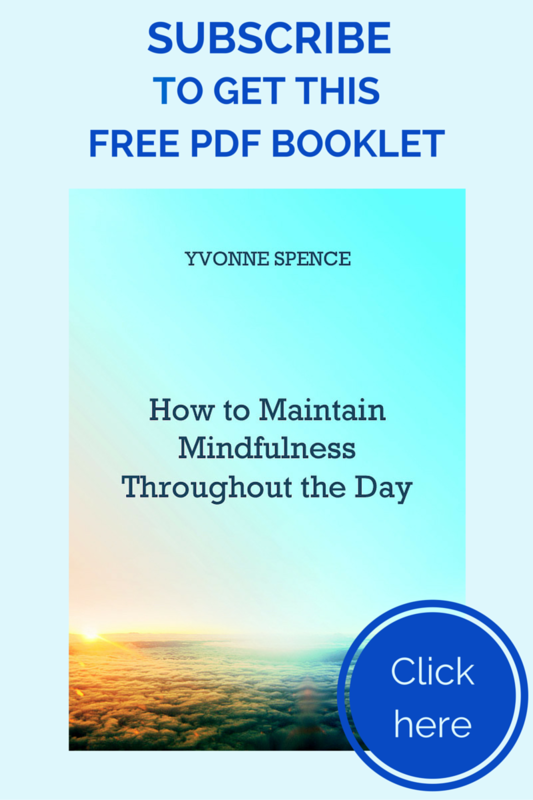 You are right; Yvonne-it does not matter whether compassion is natural, or nurtured. What is important is to encourage and practice it. YES to your last sentiment, absolutely! The Australian study really does sound good. It reminds me of some of the pieces I’ve read about people with autism, who don’t innately understand the emotions/reactions shown by others, but who learn them, and are able to respond appropriately. I definitely think there’s a chance here for people who naturally have less compassion to be able to consciously learn it. Perhaps we’d all do better to be conscious about our learning of compassion, really! Yes, Lizzi, I also thought about people with autism when I read about the Australian study. It’s a far more humane approach than saying children are “born bad.” If people can learn to connect, even if it’s not in the conventional way, then it’s helpful. 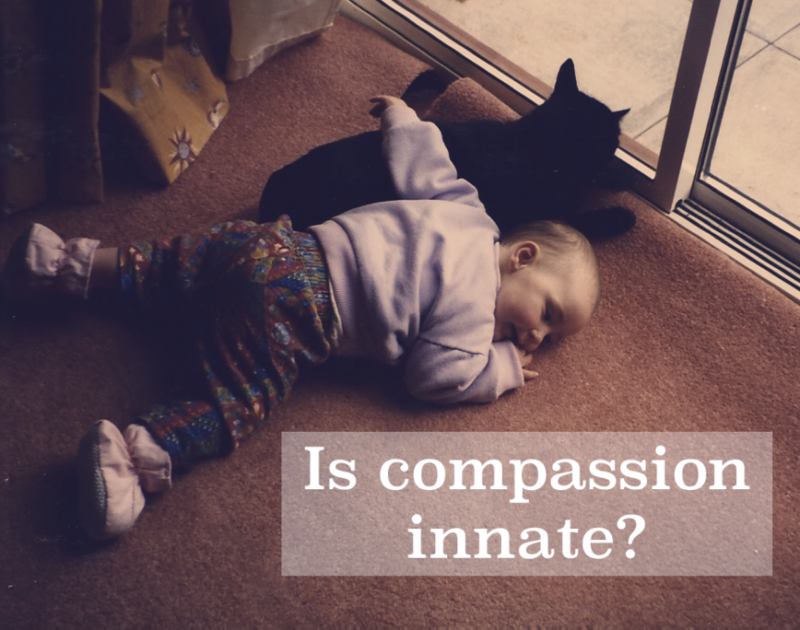 We can debate forever on the question of compassion being natural or nurtured and we still wouldn’t have an answer. I think that’s because it’s a little of both and a little of neither, really. There are so many exceptions to each side’s argument, you know? I’m with Lizzi on the idea that there is definitely opportunity to learn to be more compassionate or to learn to more readily show compassion by our actions. It’s great to be back for another infusion of compassion and new ideas to get me thinking. I really found your post thought provoking and I read through to the link in Australia and will follow that up here and see where the study’s at now. I grew up not connecting with my mother. In my 20s i finally read something about a baby connecting with their mother’s gaze and I just knew that was it. Mum had a very difficult birth with me and I was taken away for three days and put in a “warmer”. This hospital was also involved in an extensive adoption process at the time so I think I was placed with a number of other babies who never got to see their mothers. We can’t of been a happy bunch. Mum’s a fairly reserved person and I’m extroverted which didn’t help. When it comes to my own kids and the importance of eye contact, I remember both my children looking up at me while breastfeeding and looking at me in the eye…almost seeing through me. We were others’ gaze. Lack of eye contact was always one of those questions which came up at baby health check-ups…along with banging their head on the floor. Reading all of this reminded me about the danger of screens and how little we give of ourselves behind a laptop etc. (Guilty as charged) It concerns me the number of parents texting or reading their phones while walking along with their kids in prams etc instead of talking to them. It concerns me how my own kids walk down the street with devices and visit their grandparents and disappear onto devices. I am writing on my laptop while my husband sleeps. Not good for connecting with each other at all but we purposefully get out leaving devices at home. That is, except for the camera. All of this is important food for thought and while we as parents need to work and have some time to ourselves, it’s good to be reminded how important that eye contact is and to make some effort there. What you say about your mum is interesting. It sounds as if she may have been a bit depressed. Depression affects people in so many different ways and lack of eye contact is one of them. If she’d had the help she needed it might been easier for her to connect with you. Your point about screens and eye contact is also an important one, and there are indications it’s affecting young children already. Yet sometimes I wonder if it’s that much different to always reading, which is what I did! And one of my aunts got into trouble from her parents for reading too much. If you find out more about that Australian study, do share it. I’d also love to know how it’s going!